Q) He fired him? I didn’t know mayors could get fired. A) Yes, actually in Russia the president is allowed to fire and appoint the governors of the regions, and Moscow and St. Petersburg count as regions, so the president can fire the mayor of these cities. Q) So why did Medvedev fire him? Q) OK, why did he really fire him? A) Two potential explanations here. One is that Medvedev has been pushing a series of “modernization” projects in Russia, part of which seems to be focused on trying to reduce corruption as a part of modernizing the Russian economy. As part of that push, he has been trying to remove some of the longer serving regional governors. So it’s possible that Luzhkov is just the next in line here. On the other hand, Luzhkov—perhaps anticipating the attempt to remove him—has recently been involved a very public conflict with Medvedev, including publicly criticizing Medvedev as a weak leader. This has been taken as a sign that Luzhkov would support Vladimir Putin over Medvedev in the 2012 Russian presidential election. Q) Wait a minute, does that mean Russia will have a real presidential election in 2012 with actual competition? A) No. The question of Putin vs. Medvedev will be decided before the election and only one of them will run. Q) OK, so then does the fact that the guy who criticized Medvedev and supported Putin just got fired tell us anything about the balance of power between Putin and Medvedev, and, ultimately, who is likely to run in 2012? A) That’s the 64,000 Ruble question. We just went through this last week with the decision to cancel the sale of S-300 air defense system to Iran. While some in the media argued that this was a sign of Medvedev’s growing ascendancy in the realm of foreign policy, the consensus among my colleagues at PONARS was that this conclusion was overstated, and that that decision was much more likely to have been motivated by the current status of Russia’s relations with the US and Iran. However, as long as Putin refuses to comment about the removal of Luzhkov, there will be speculation that this again represents the emergence of a more independent Medvedev. What we can say for sure is that even if Putin was supportive of the effort to remove Luzhkov, Medvedev certainly took the lead in dealing with it. This may have been dictated by the Russian constitution—Medvedev has the power to remove the Moscow mayor, the Prime Minister does not, something that Medvedev implicitly noted in the quote above - but it may also represent that this was more of a priority for Medvedev than Putin. 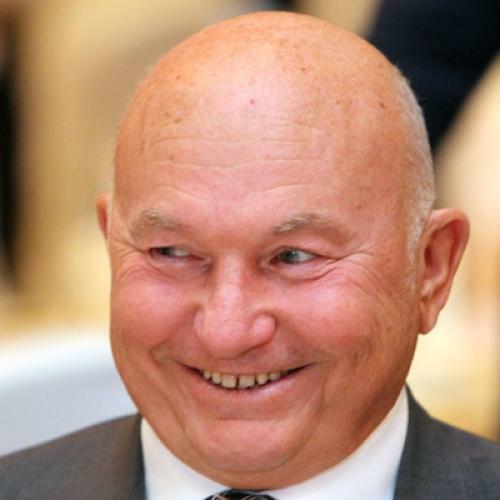 A) First and foremost, all eyes will be on who is chosen as Luzhkov’s successor. Look for lots of stories about rival power centers trying to get their man into the position. For the larger Putin vs. Medvedev issue, it will also be interesting to see how Putin weighs in on the situation once he finally discusses it. Although, truth be told, it will be surprising if he says anything other than he supports the actions of Medvedev, so we probably won’t learn too much from this unless he says something quite unexpected. Joshua A. Tucker is an associate professor of politics at New York University and a co-author of the political science and policy blog The Monkey Cage, where this article was originally posted.